For kids, planning a vacation can be just as exciting as actually taking one… if you play your cards right. I have a few tricks to keep my children completely engaged from start to finish. We live in a digital age! Why not get your little ones involved right from the start and have them actively participate in the planning, budgeting and packing for your big annual trip? They will love every second of it, trust me! Right off-the-bat, start the conversation together. Ask your kids: “where do YOU want to go on vacation?” If you always get the same response, try to expand the conversation and suggest new destinations. Once you decide on your location, get the kids to do a little internet research. Give them a chance to see what activities you can do together as a family. Then, have your kids create a fun brochure outlining places to eat, fun beaches and anything else they found. Last but not least, the kids can create a travel packing checklist on the computer. This list can include things such as bathing suits, sunscreen, sunglasses, and the whole shebang! Vacation planning can be fun if every member of the family participates. Try these tips next on your trip and make it a true team effort! 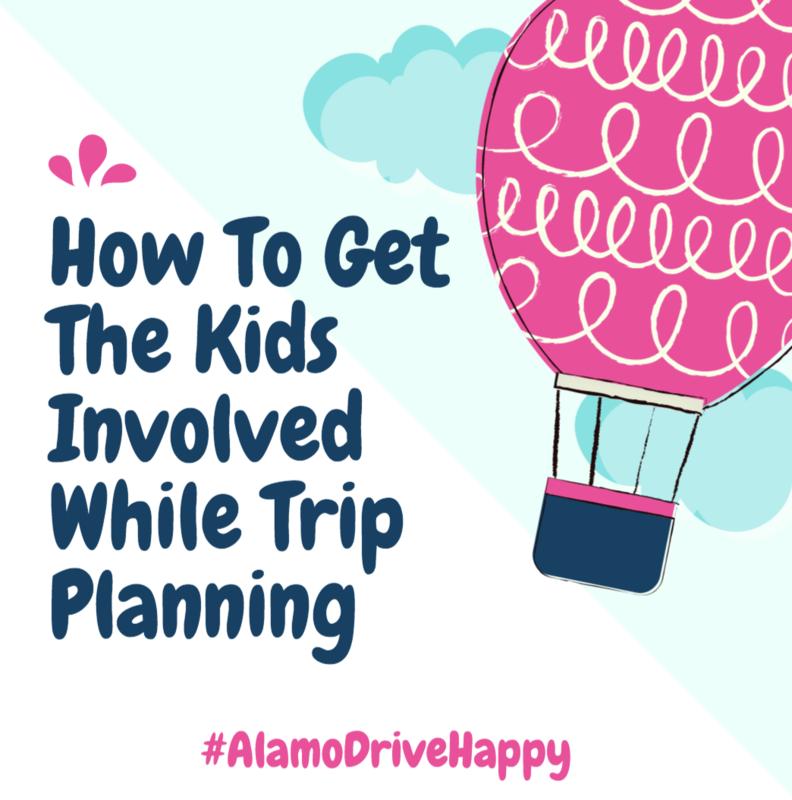 *I’ve teamed up with Alamo to help spread the word about the joys of traveling and about their car rental program. All opinions are my own.